Acme Plastic Machinery Corp of Florida specializes in the representation of new and used plastic processing equipment. We would be very pleased to have this opportunity to introduce our company if you would allow us a moment of your time to become familiar with our company history, achievements and goals. 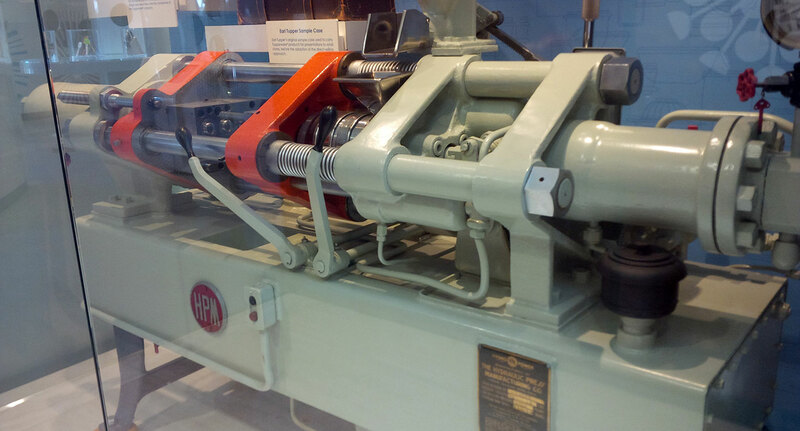 Frank J. Cutroni Sr. established Acme Plastic Machinery in 1939. Our inventory includes Injection Molding Machinery, Blow Molders, Extruders, Molds, Granulators, Chillers, Ovens, Hopper Loaders, Dryers, Air Compressors, Water Towers and Machine Tools. Acme Plastic Machinery has over 79 years experience in the Plastics Industry providing service to our customers around the world. In addition to customer service, our Sales Representatives are also in charge of organizing our participation of International and National Shows and Exhibitions. Following are some of the Exhibitions which we exhibited and the past. In presentation of Acme Plastic Machinery Corp. of Florida corporate officers at the Florida branch: As mentioned previously, Frank J. Cutroni worked very hard to expand business not just domestic but worldwide. Frank Cutroni Jr., President of Acme with twenty five years experience in the Plastic Industry is following his father’s goal in making Acme a recognized name in the Plastic Industry. Frank Cutroni, Jr. earned an Associates Degree in 1993 and learned Spanish fluently at Instituto Tecnologico y de Estudios Superiores de Monterrey. Frank Jr. is also a member chairman of S.P.E. South FL Division. Our customers are very important to us. We hope that this outline has given you insight of our company. CERTIFIED ACME PLASTIC MACHINERY CORP OF FL AS AN OFFICIAL MEMBER OF S.P.I.